Fresh breath with the natural protection of Propolis, our Mint & Licorice flavored chewing gum is designed to provide optimum oral hygiene. 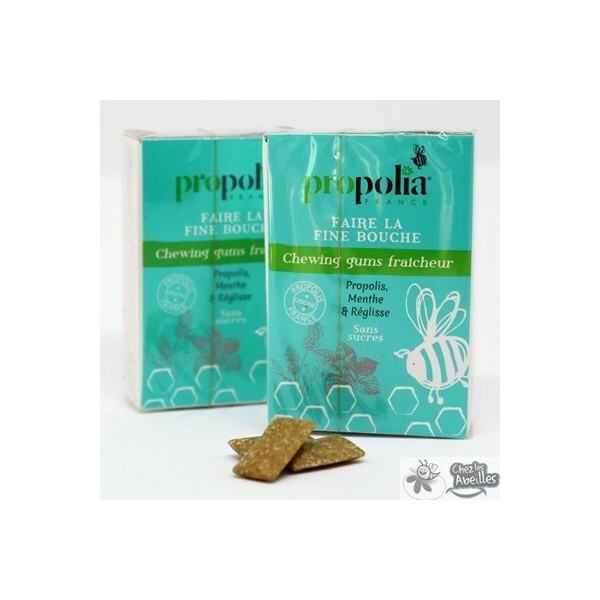 Propolis has antibacterial and antinflammatory properties and now you can enjoy these benefits in a flavorful blend in our Propolis and Mint chewing gum. 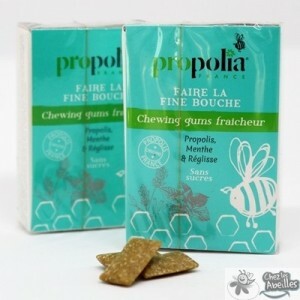 Thanks to a significant concentration of Propolis (6.4%), you can benefit from these active ingredients gradually by chewing, working both in a general (via sublingual absorption) and local level, disinfecting the oral cavity.